Because of the cultural advantage to District students, and in order to promote the cause of international understanding, the District will accept on a tuition-free basis a limited number of foreign exchange students. Arrangements for these students must be approved in advance by the building principal and by the Superintendent. 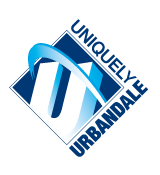 The students must be sponsored by responsible community organizations which meet requirements of the United States State Department and must live with families who reside in the Urbandale Community School District. Any organization intending to sponsor a foreign exchange student shall make arrangements with the District prior to the time the student enters the United States. The foreign exchange student may attend District schools for one school year only.